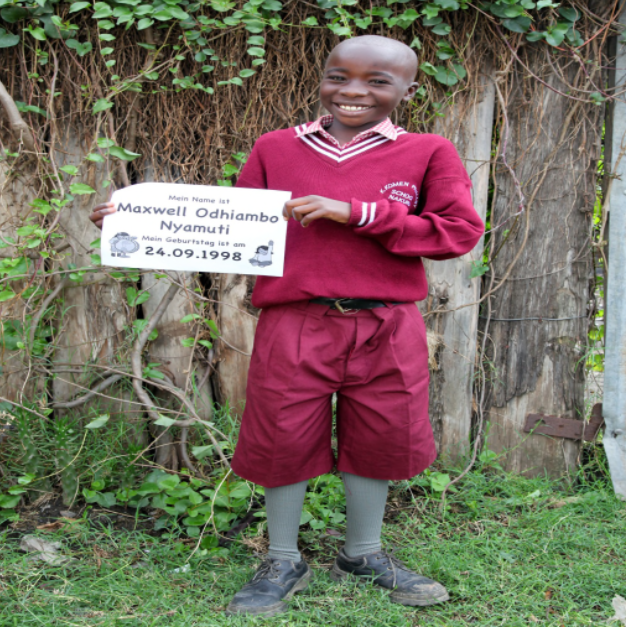 Egoisme has adopted Maxwell Odhiambo Nyamuti. If you want help too, visit the websit – Live and Learn in Kenya. ” Live and Learn in Kenya NGO is based in Selb, Germany. Live and Learn in Kenya International NGO is its “daughter” organization in Kenya and is a registered non-profit, charity organization. Desolation, hunger and thirst, poverty beyond comprehension, illiteracy, AIDS, child prostitution, child brides – this is what rules the lives of the people – especially the children – living within the Rhonda Slums of Nakuru, Kenya. Live and Learn in Kenya is changing this – day for day – child for child. We have a German-based medical/dental partner organization “Arzt- und Zahnarzthilfe Kenya” , that provides for medical and dental care — including quarterly check-ups and vaccinations. Our feeding program is also a huge success. With our “Shared Joy” project we are able to assure nutritious warm lunches for nearly 500 children every day. All funds are donations. 100% of the donations are transferred directly to Kenya to care for the children, provide education, medicine, food, shelter and foster care. Nobody is earning a cent at Live and Learn in Kenya NGO. Our professional staff in Kenya are paid through donations in order to insure a smooth running of the project – so that the children receive all that the should. This entry was posted on January 16, 2012 by Alon Alphaville. It was filed under Uncategorized and was tagged with adoption, donation, Egoisme, help, hunger, joy, Kenya, NGO.